It’s not quite subprime all over again, but now that higher mortgage rates seem to be an absolute certainty, banks and lenders are looking for new ways to drum up flagging business. One such method popular during any slowdown in production is to ease underwriting guidelines, such as credit score and down payment requirements, loan-to-value maximums, and so on. And now that interest rates on home loans are more than a full percentage point higher than they were a couple of months ago, this phenomenon is beginning to take shape. Let’s face it; there are far fewer loans out there now that refinancing volume is beginning to tank. While purchase activity is expected to take charge as soon as the fourth quarter of this year, it still won’t be enough to make up for the shortfall, which explains all those layoffs. As a result, lenders are effectively being forced to ease guidelines to stay competitive and gain (or even retain) market share. So going forward, mortgages with a LTV ratio as high as 97% and a FICO score as low as 620 that are accepted by the GSEs are also likely to be approved for PMI with Genworth. For the record, 620 is the subprime cutoff, but a 620 FICO score coupled with only three percent down is probably the definition of layered risk, which isn’t a good thing. On Monday, non-bank originator Amerisave also announced that it was eliminating conventional overlays, meaning they’ll now approve whatever Fannie Mae allows, without any extra fees. Before lending began to ease, most banks imposed overlays on top of what Fannie and Freddie (and the FHA) deemed deliverable. In effect, it meant guidelines weren’t as loose as they could have been, largely because banks were concerned with credit quality and buybacks. But now that lending has essentially dried up, it seems the spigot has opened once again. Earlier this summer, the top mortgage lender in the nation also got more lax. Wells Fargo upped its maximum LTV for jumbo loans to 85% from 80%, which is yet another sign that we’re inching back toward high-risk home loan lending. While that might sound conservative, Wells has traditionally kept things a little tighter than the competition. Still, that’s nothing compared to what some of the pure refinance shops are getting into, now that their business virtually disappeared overnight. 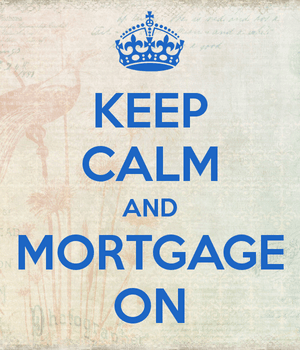 CashCall is offering 125% second mortgages, which were popular during the boom. Yes, loans for more than the value of the property. And the FHA now seems to be just fine with borrowers applying for a loan just one year after short sale, foreclosure, or bankruptcy. Of course, it remains to be seen whether lenders will actually get on-board with that, or if they’ll throw in their own overlays. But it’s clear that lending is beginning to loosen up in a hurry, which some might argue is overdue, where others might fear another collapse.